Digital Commonwealth, Massachusetts Collections Online. 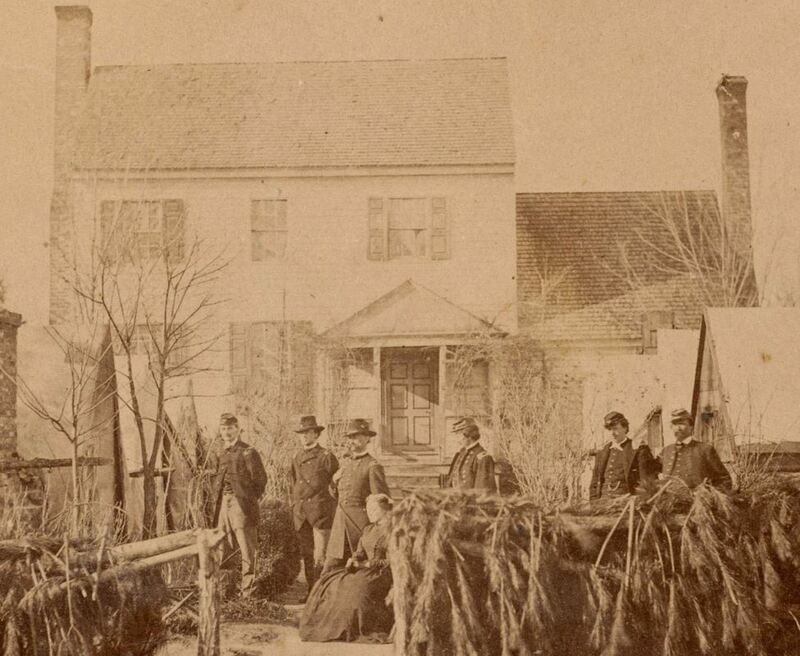 Misleadingly labeled as "Frederick Augustus Schermerhorn: HQ of the 1st division, 5th cavalry at the Cummings House, Petersburg, Virginia." This photo was evidently from Schermerhorn's collection. Detail. 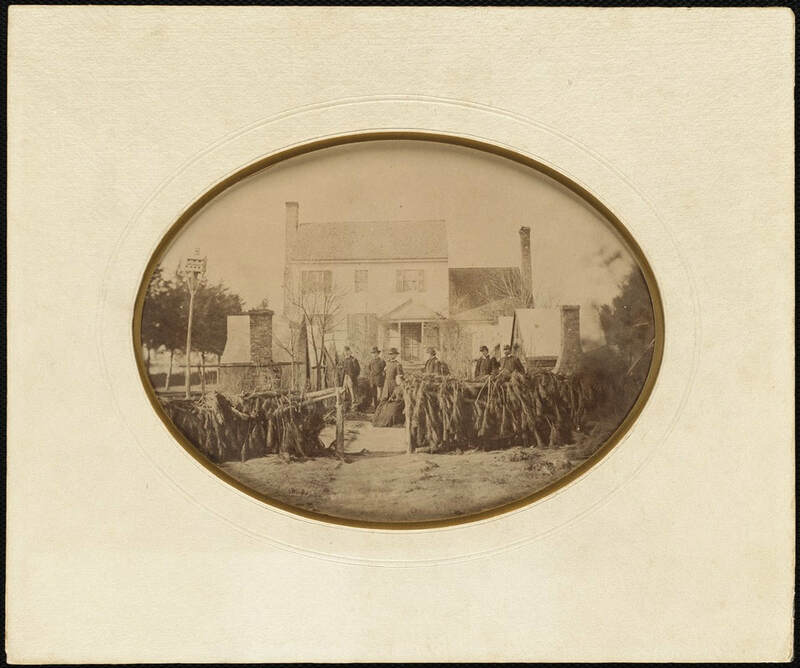 General Charles Griffin and staff officers posed in front of the Cummings House. Photograph misleadingly labeled. 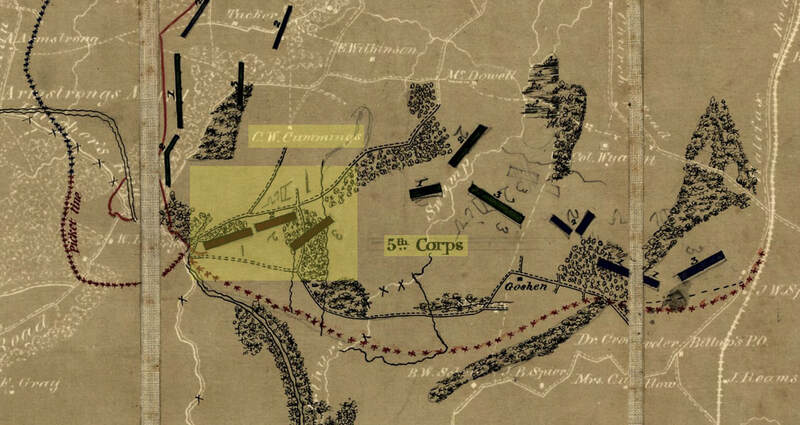 Detail from annotated map by Engineer Department, Army of the Potomac, dated November 2, 1864, showing "C. W. Cummings" house and deployment of 1st Division, 5th Corps. NARA. Lt. Frederick Augustus Schermerhorn, 185th New York, served as Aide-de-Camp to Major General Charles Griffin of the 1st Division, 5th Army Corps. He was breveted Captain for "distinguished gallantry and efficient service at the battle on Quaker road, March 29, 1865." O.R. vol. 46, pg. 1011.